Bartolomeu Dias, a nobleman of the Portuguese royal household, was a Portuguese explorer. 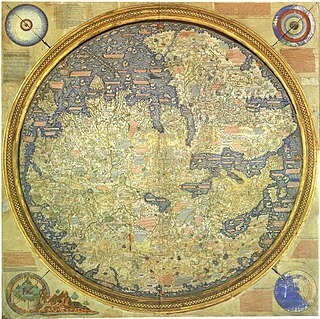 He sailed around the southernmost tip of Africa in 1488, the first to do so, setting up the route from Europe to Asia later on. 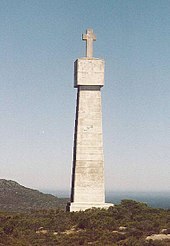 Dias is the first European during the Age of Discovery to anchor at what is present-day South Africa. Table Bay is a natural bay on the Atlantic Ocean overlooked by Cape Town and is at the northern end of the Cape Peninsula, which stretches south to the Cape of Good Hope. It was named because it is dominated by the flat-topped Table Mountain. Mossel Bay is a harbour town of about 130,000 people on the Southern Cape of South Africa. It is an important tourism and farming region of the Western Cape Province. Mossel Bay lies 400 kilometres east of the country's seat of parliament, Cape Town, and 400 km west of Port Elizabeth, the largest city in the Eastern Cape Province. The older parts of the town occupy the north-facing side of the Cape St Blaize Peninsula, whilst the newer suburbs straddle the Peninsula and have spread eastwards along the sandy shore of the Bay. 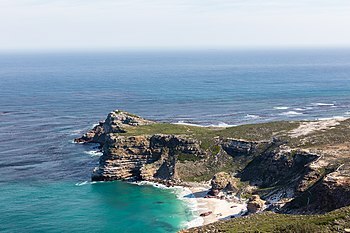 Cape Point is a promontory at the southeast corner of the Cape Peninsula, which is a mountainous and scenic landform that runs north-south for about thirty kilometres at the extreme southwestern tip of the African continent in the Republic of South Africa. Table Mountain and the city of Cape Town are close to the northern extremity of the same peninsula. 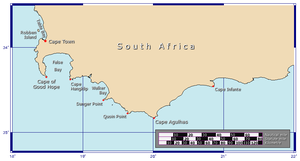 The cape is located at 34°21′26″S 18°29′51″E, about 2.3 kilometres (1.4 mi) east and a little north of the Cape of Good Hope on the southwest corner. Although these two rocky capes are very well known, neither cape is actually the southernmost point of the mainland of Africa; that is Cape Agulhas, approximately 150 kilometres (93 mi) to the east-southeast. 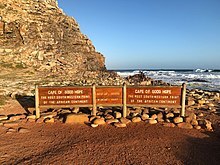 Cape point is closed on Christmas, the Day of Goodwill and New Year’s Day. Opening times are from 6:00-18:00. Plettenberg Bay, nicknamed Plet or Plett, is the primary town of the Bitou Local Municipality in the Western Cape Province of South Africa. As of the census of 2001, there were 29,149 population. It was originally named Bahia Formosa by early Portuguese explorers and lies on South Africa's Garden Route 210 km from Port Elizabeth and about 600 km from Cape Town. De Hoop Nature Reserve is a nature reserve in the Western Cape Province of South Africa. Miller's Point is a headland and stretch of protected coastline in South Africa. 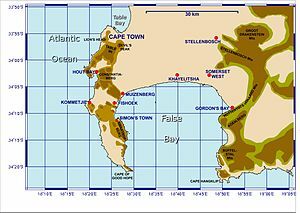 It is located about 4 kilometres (2.5 mi) south of Simon's Town on the road to Cape Point. The European-Asian sea route, also known as the sea route to India or the Cape Route is a shipping route from European coast of the Atlantic Ocean to Asia's coast of the Indian Ocean passing by the Cape of Good Hope and Cape Agulhas at the southern edge of Africa. 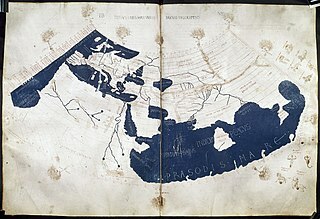 The first recorded completion of the route was made in 1498 by Portuguese explorer Vasco da Gama. The route was important during the Age of Sail, but became partly obsolete as the Suez Canal opened in 1869.